Congratulations to "Kimberly P.", the winner in Elizabeth's giveaway. Thank you all for participating in the giveaway. Homicide detective Logan Greer, the hero of my romantic suspense DISARMING DETECTIVE, grew up in the small, ocean-side town of Oakville, Florida. He’s got deep roots there, a family history of public service to the town, and he’s dedicated to protecting the people. So, naturally, I went and killed off his sister’s friend, visiting from another state, and had her thrown in the marsh. Why? Well, it’s partly because I enjoy torturing my characters. The more challenges I can throw at them, the more they have to prove themselves. In Logan’s case, I didn’t stop there. Next, I decided that his theory that a savvy serial killer had murdered his sister’s friend – and was probably looking for his next victim – was going to be the joke of the police department. While I was at it, I figured they should resent him a little already anyway, because of his family name (his father is the mayor). He’s hero material, so this couldn’t stop him. Since he’s not getting the support he needs from his police chief and the rest of the department, he flies to Virginia on his own dime, and insists a profiler look at the case. Just to torture him a little bit more, I give him FBI profiler Ella Cortez. She’s sassy, and she’s got her own reasons for wanting to stay far away from Florida. From the second Logan meets her, there’s an instant attraction he can’t deny. But there’s a killer on the loose, so Logan knows he needs to try and resist her if he wants to stop another woman from going missing during Oakville’s busy Spring Break season. And when the killer targets Ella, Logan will do whatever it takes to protect her. I’m giving away one copy of DISARMING DETECTIVE to a commenter! When FBI profiler Isabella Cortez finds a stranger outside her office, she’s in trouble. Because even though Detective Logan Greer is one of the good guys, their instant attraction is a serious distraction. Ella’s got one mission: to find the criminal who hurt her friend and drove her to become a profiler. But Logan’s appeal isn’t just chemistry. He has a case that bears an eerie resemblance to the crime Ella’s been trying to solve for years. Together, they’re racing to stop a killer, but the closer they get, the more dangerous the search becomes. Falling in love could be deadly…or it could be the only way to survive. Giveaway ends 11:59pm EST January 18th. Please supply your email in the post. You may use spaces or full text for security. (ex. jsmith at gmail dot com) If you do not wish to supply your email, or have trouble posting, please email maureen@justromanticsuspense.com with a subject title of JRS GIVEAWAY to be entered in the current giveaway. This sounds right up my alley - love FBI heroes and heroines! Is your Profiler series romantic suspense too? Oh I like what you have shared here about your book DISARMING DETECTIVE! Sounds good! Thank you for the awesome giveaway opportunity. I'm so thrilled to hear it, Kimberly! I love it here for the same reason! :) I hope you enjoy Disarming Detective!! Totally agree with your description of a great suspense read. This sounds really good! Thanks for sharing a great post. 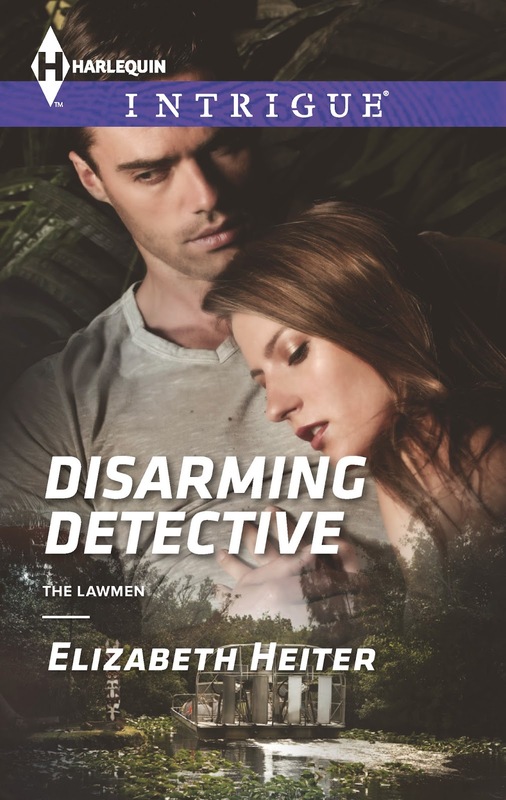 Congrats to Elizabeth on her new release! It's fun how she's "torturing" her hero :) thanks for sharing! I really want to read this book. If I do not win it, I will buy it. Congrats to Elizabeth your your new release. Thank you so much, Tammy! It's great to "see" you again, and I hope you enjoy the book! Wow! Disarming Detective sounds amazing. You sure gave Logan a lot to deal with but that makes the book a must read for me. Oops. I forgot to leave my email so you can contact me when I win. Thank you, Jo-Anne!! Logan was so much fun to create - and I loved making him fight so hard, for both the case and Ella! Love finding new authors and their books!! This one sounds really good..